ADR Architects designed a pragmatic accommodation with a view of Sněžka (the highest peak of Czechia). Welcome to the new mountain hideaway in the Giant Mountains. 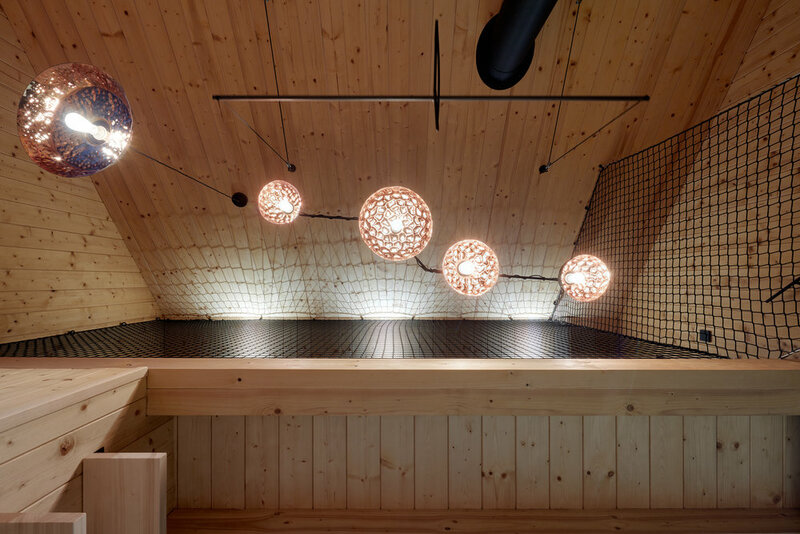 A new wooden hideaway was built on the meeting of two small brooks in the Czech Giant Mountains. 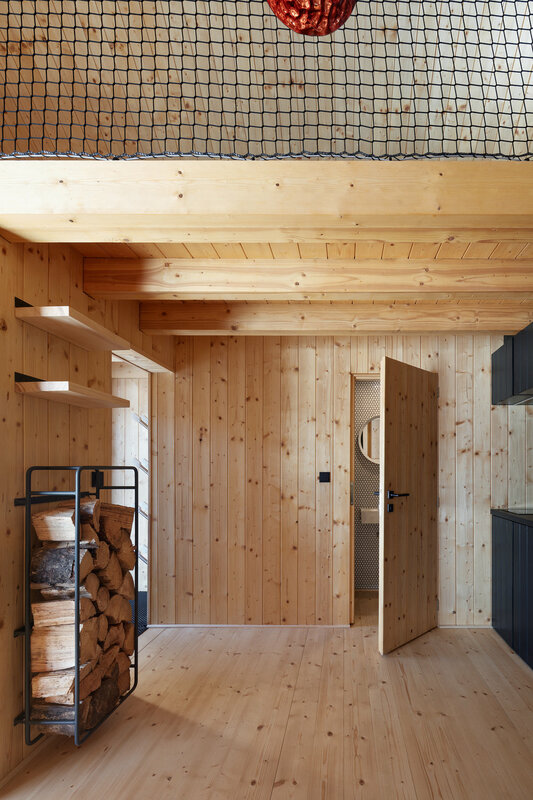 The ADR architectonics studio collaborated with mar.s architects on creating a simple, functional design of a two-storey cabin, which seeks to accommodate some extra visitors of the nearby Tereza chalet. The Black Water Hut – name derived from the name of one of the brooks – features a very functional two floor house plan, providing basic facilities on the first floor and a minimalist bedroom on the second one. The indoors is complemented by an outdoor steel terrace that overlooks the beautiful surrounding panorama of the Giant Mountains. What once was a ski tow station is now an architectonic gem of black aluminium and wooden planks, proving that sometimes, the aesthetic dimension can uplift a purpose-built construction on a whole another level. The building is nominated for the Czech Architecture Award 2018 (CCA). The winner of this prestigious selection will be announced on November 19, 2018. More information about the competition and other 32 nominated projects can be found at the Czech Chamber of Architects.